There are many people who consider themselves true film buffs and what that means is that there are films that are absolute must sees for these individuals. 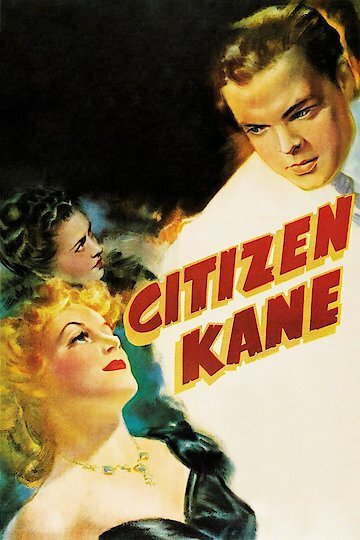 One such film would be that of 'Citizen Kane', written, directed and starring Orson Welles. This movie is considered to be one of Welles' greatest achievements and is listed in the American Film Institute's top 100 movies in the #1 position. One of the reasons why this movie is such a triumph is because of the opposition that was launched against the film. The film focuses on the life of Charles Foster Kane, one of the richest men of his time, who wanted for nothing, yet always seemed to be in search of something very elusive that his money couldn't seem to buy. At the time of its production there were several who tried to stop the film because it was believed to be, somewhat, based on the life of William Randolph Hearst, a man of considerable wealth and influence who owned many of the newspaper publications across the country who openly carried on an affair for many years with Hollywood star, Marion Davies. The film's focuses on Kane's rise in the newspaper industry as well as in the political world. There is also focus on his personal life and the price those who loved him and were close to him paid for his ambitions as demonstrated by his numerous relationships. This trend reveals the lack of empathy that he has developed towards others as well as the blind obsession for power that he has developed. The irony of the film is that Kane starts out from humble beginnings, coming from a poor family. However, his parents are presented with a proposal by an aging wealthy man to allow young Charles to be raised by the man in exchange his parents will be provided for and Charles will become his heir upon his death. The film progresses through Kane's life as someone with ideals to someone who abandons their morals to adapt a mentality of the ends justifies the means. The film is told through flashbacks of information discovered by a reporter in search of the meaning behind Kane's final words; "Rosebud". Citizen Kane is currently available to watch and stream, buy on demand at Vudu, Google Play, FandangoNow, iTunes, YouTube VOD online. For decades, "Citizen Kane" has polled as the greatest film ever made in the "Sight & Sound" poll. But not anymore: "Kane" has been dethroned after the polling opened up to a bigger voting field. So, who's the best now?